After a several-year hiatus, ULTRA4 Racing will be returning to the AOAA (Anthracite Outdoor Adventure Area) Park in Eastern Pennsylvania for a weekend filled with racing action, fun and adventure for the first official Rock Krawler Showdown in Shamokin! The AOAA Park offers over 6,500 acres of trails, diverse terrain and plenty of space for teams and spectators to enjoy! It will be a joint race weekend with ULTRA4 Race on Saturday and a Line Mountain Race on Sunday. This event is new for 2018 and should feature plenty of challenging and fun terrain and obstacles for all race classes. We plan to race with the Line Mountain race series, turning the event into a huge off-road extravaganza! The price for competitors is $70 for drivers and $30 for co-drivers. This price covers additional insurance required while racing at AOAA, which is a county controlled park. Coverage requirements are more than on private land and non-negotiable. All drivers and codrivers are required to wear a minimum 1 layer firesuit. All drivers must register by April 6th to avoid Late Fee! Please login to register and pay for race related items! Do this before continuing with registration. Login is located in the upper right hand corner. From wide-open field sections for go-fast passes, to single track wood runs and some awesome rock obstacles, AOAA offers a little bit of everything for our racers. We're still working hard on putting together the best race we can at AOAA so be sure to check back for updates as we release more information! -- UPDATE: Rock Krawler Suspension has come on as our official title sponsor for the Showdown in Shamokin! We're excited to have them! There is dry camping available starting on Thursday. Camping is $25 per camping vehicle this includes drivers and teams. The site does not allow campfires. Reminder: We are racing at AOAA NOT at Line Mountain, do not follow signs to Line Mountain! There is a grocery store, an automotive center, and restaurants/fast food (dunkin donuts) within just a few miles of the park. 1. Pay for a single race - login with your driver profile then please select your class under racer at this link and hit "register now" to pay the single race price. If you are wanting to register for the series, you must either pay for the season at once or in 6 month installments. Total cost for entry for pit crew is $25. It's $20 to the park plus a pit band upgrade of $5. Cost to spectate is: $20 a person Kids 16 and under are free. There is not an ATM on site, so please remember to bring cash. Overnight Camping is $25 per camping vehicle. camping is dry camping and no fires are allowed. 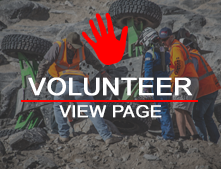 Looking for a good place to stay while attending this awesome off-road event? AOAA recommends has a recommendation list with all the information you need HERE! All qualifying drivers must attend! OK4WD to host on-site driver meet and greet dinner following qualifying on Friday.